Curious what is the fastest growing sector in eCommerce in the past few years? Interested in the newest trends of launching an eCommerce on luxury goods? Stay with us! In this blog post, we’re tackling the subtleties that shape up the luxury eCommerce success in the digital era! Find out what’s different in doing eCommerce for luxury goods, how the consumer market behavior changes vs traditional retail and what are the most effective strategies you can use to attract new customers and maximize your sales. Luxury eCommerce calls for a different approach, one that takes into consideration the disparity between luxury and conventional mass-retailing strategies in the eCommerce market, their target audience and consumer behavior, and the technical solutions that are fully equipped for launching a luxury eCommerce. 2.2. Are Luxury eCommerces Successful? 5. Which is the Best eCommerce Platform for Luxury Brands? When it comes to luxury eCommerce websites, their target audience is looking for something different than the standard consumer does in conventional, mass-brands eCommerce shops. Since the beginning of online retailing, in the late 1980s and early 1990s, the luxury goods market sector lacked the appetite for launching their businesses online and resisted to embrace the newest technologies used for developing an eCommerce site. The straightforward explanation of this retailing-related phenomena is that luxury companies were afraid that they’ll be losing the most important aspect of their business by opening an eCommerce store: the personal connection with their customers and the chance of making a difference in terms of the quality of their services and how they treat their in-store visitors. 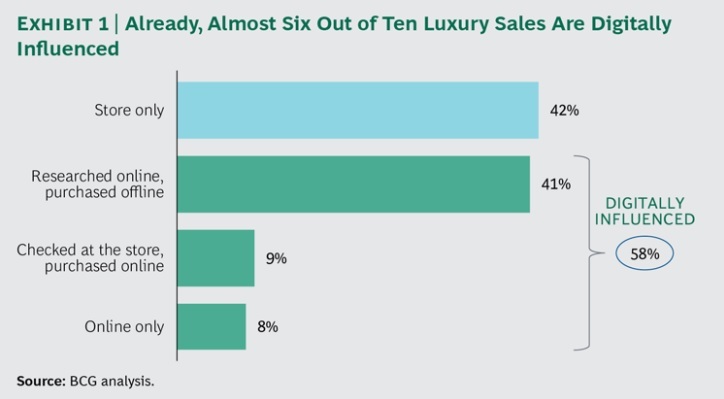 Plus, luxury brands managers had fewer insights of their market sector when it comes to eCommerce, in terms of pricing and quality of other services and goods, but also in terms of finding the best performing eCommerce solution, one that is the most suitable for launching a luxury brand in the eCommerce industry. Because they couldn’t control what their consumers say about their products across online channels, luxury brands couldn’t take the chance of being subjected to the rules that apply in conventional online retailing: price comparison apps, viral marketing, social media distribution, and universal access to product information. As viral marketing operates through the buzz-effect across all media channels, it can be a useful tool for creating brand awareness, but there’s also a downside of this powerful technique. A negative review can affect brand image and have unfavorable results for sales performance. While some luxury brands are still hesitating, relying on the traditional marketing strategies and the store visit experience, online shopping opportunities continue to emerge across all conventional eCommerce sectors. Ready to open a luxury eCommerce website? Give Magento a try! Although luxury brands are the latecomers of online retailing, some of them started to renounce the general mistrust in eCommerce, and review their business priorities. Following the trends applied in almost all sectors of the online retailing industry, luxury brands are now driven by the consumer’s behavior, desires, and needs. To keep up the pace with conventional eCommerce in terms of online technologies, luxury retail was forced to adopt the same trends to increase their sales performance. As a consequence, the results started to appear, as it happened with every eCommerce sectors. In the past few years, luxury eCommerce websites started to have a significant growth and strong future prospects for the years to come. An analysis made two years ago by Altagamma-McKinsey Digital Luxury Experience Observatory shows that eCommerce is now the biggest most important priority for luxury brands, and statistics show that, by 2020, online sales will represent as much as 20% of the total revenue per year for the luxury sector. This proves that luxury brands have the most rapid growth in online commerce, which means that the most difficult audience is now ready to shop online, as long as their preferred brands are able to provide the same premium quality for their goods and services. Moreover, according to a survey made by the Boston Consulting Group (BCG), more than 80% of luxury shoppers (baby boomers, millennials, and even older buyers) are ready to embrace new technologies that improve their shopping experiences, such as social sharing and digital in-store online interactive actions. Ready to build a luxury shop that stands out from the crowd? Contact our eCommerce experts today! As online shopping becomes a more appealing activity for consumers from all market sectors, and as physical stores are more and more challenged by their online retailing competitors, luxury brands are beginning to adopt the same trends every eCommerce sector follows, in their attempt to maintain the loyalty of their customers and increase their sales performance. As it was expected, the most important decision any luxury brand can make now is to focus on creating their online shop and striving to deliver an outstanding shopping experience. 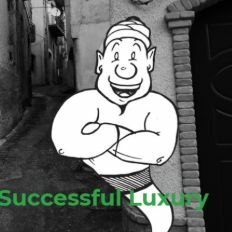 Luxury retailers should keep in mind the main concerns their buyers have when are searching for a digital marketing agency to help their brand achieve a higher visibility in the online market, across all channels. Having in view that luxury shoppers are now more likely to make a purchase online, via their smartphones, a good strategy will be to search for a digital marketing agency that is committed to help your eCommerce business expand and achieve the highest results in online retailing. Do they have relevant experience in the luxury sector? What about eCommerce SEO experts that can help you improve your brand’s search visibility score? Do they provide conversion rate optimization services? What about PPC campaigns for eCommerce? Marketplaces may represent another challenge for luxury brands, in their efforts for maintaining their exclusivity, maximizing their online presence to increase their sales, while at the same time avoiding to be associated with conventional brands that are widely accessible. However, by going online, luxury brands are discovering new aspects of their business, focusing on integrating the offline retail experience with the newest online trends to maintain their buyer’s loyalty. In addition to mastering the 4Cs of every successful eCommerce (commerce, content, curation, and community), luxury businesses need to find the best eCommerce management agency, to benefit from the best strategy across the channels you decide to use for products promotion, such as luxify.com or jamesedition.com. 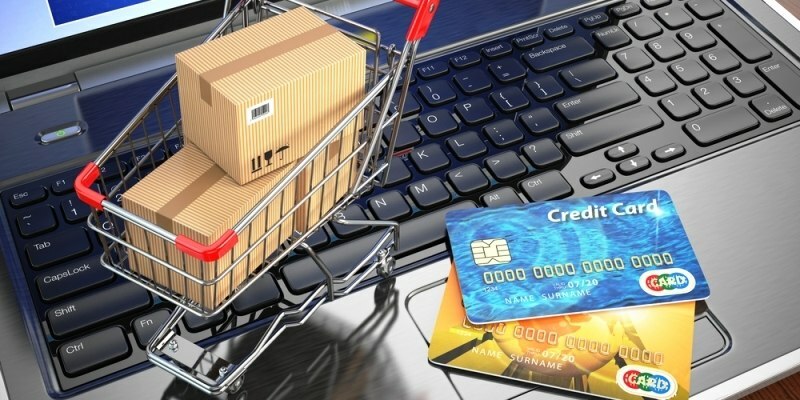 However, it is advised to limit your online presence to your eCommerce website and dedicated luxury marketplaces, to maintain a proper brand image, guarantee the quality of your services, and successfully avoid any association will mass online retailing, specific to conventional eCommerce websites. Need assistance in managing your eCommerce? Get the most out of your business with our expert’s help! The way in which buyers interact with their favorite luxury products is an important insight into how to maintain their interest in your brand, gain new visitors and convert them into loyal customers. As the online retailing is expanding across all market sectors, luxury brands need to make additional efforts to keep their customers engaged. Today, brand loyalty is tested more than ever before, as customers are switching between online retailers more easily according to their needs and desires. However, the brand-loyalty decline can be improved by adopting new technologies that can band together offline/in-store visits with the online shopping experiences. 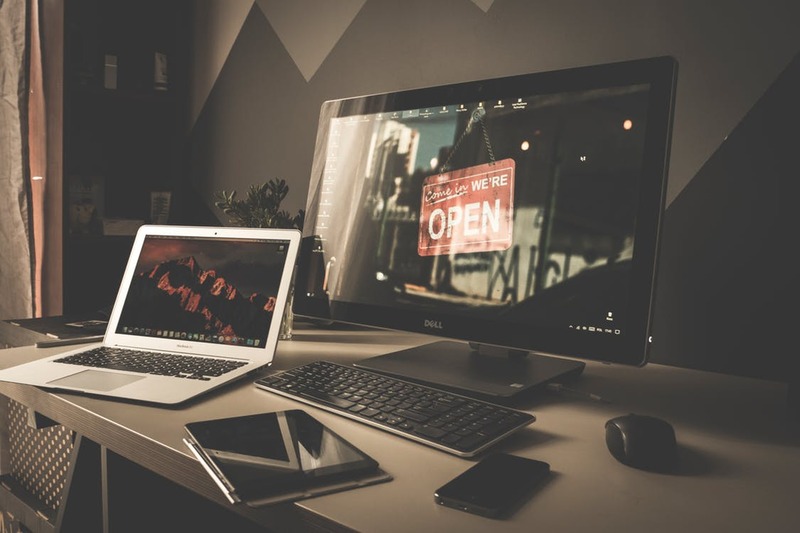 Even when it comes to the typical buyer that prefers the physical store visit over the online experience, statistics show that they are still inclined to connect to the store’s website via their mobile devices to validate their shopping decisions. This trend exemplifies how eCommerce changed retailing businesses for good, shaping the consumer’s behavior in both online and offline markets, influencing their shopping decisions. In this sense, it is mandatory for each eCommerce website to offer relevant data about their products and keep their customers posted for every change that takes place in their store. This way, every client can find relevant information about the products they want to purchase, directly from the brand’s website page, and then feel free to choose where they make the purchase, online or offline. Personalization is another key component of increasing your luxury brand’s conversion rate and increase your sales performance in online and in-store. Being up to date on your customer’s change of taste, preferences and latest trends can help you boost your client’s confidence and trust in your brand, making them more willing to buy. If before eCommerce personalization was more a matter of improving your customer services, online retailing offers plenty of options to shape your business to your buyers taste, anticipating their needs and simplifying the process of making a purchase. Choosing an eCommerce platform is the most important step of the process in launching a luxury online shop, as the design and functionalities of a website can make a huge difference when it comes to maintaining brand loyalty and increasing sales performance. There are three key aspects luxury brands need to keep in mind when choosing an eCommerce platform, so they can develop a highly customized eCommerce websites and offer a personalized shopping experience for their niche clients. From all software comparisons we’ve presented in our previous blog posts (Enterprise Ecommerce Platforms & Softwares Comparison, Small Retailers Ecommerce Software Comparison, and Magento vs Competitors: Which Is the Best Platform for Your Ecommerce Website) we’ve concluded that Magento is the right fit for luxury eCommerce. Magento is currently used by numerous luxury brands, like Paul Smith, Christian Louboutin, Theresa, and it is the most trusted eCommerce platform available that offers the best design-content- technology ratio to successfully launch a luxury shop. 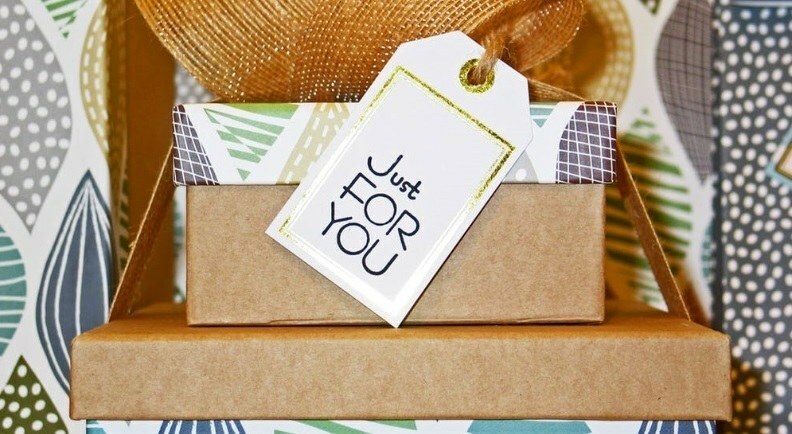 With an open-source software, any luxury brand can personalize its shop to meet the specific requirements of their niche clients, add omnichannel features, complex inventory management tools, order routing and advanced payment tools to deliver an extraordinary customer service experiences by synchronizing their online and in-store presence and increase your sales performance. Luxury Premium Fashion Magento theme presents a clean and modern layout, designed for any eCommerce website, from all niche markets. Compatible with Magento 1x and 2x, Luxury Premium Fashion Magento theme it’s easy to use and can be personalized according to your customer’s desires and taste. Ves Amaze is a premium Magento 2 theme, designed especially for home decoration luxury products. 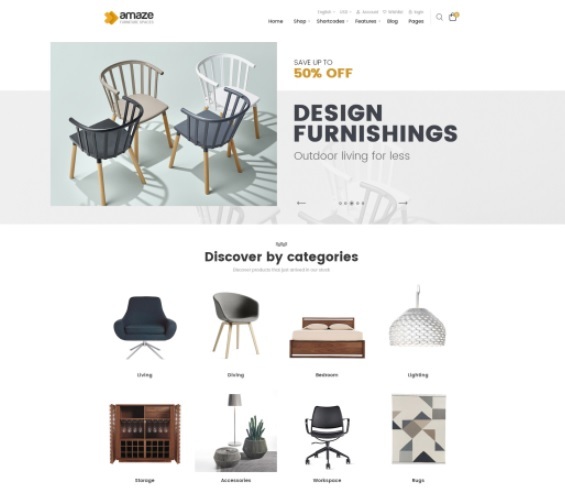 With it’s simple yet unique design, this is one of the most popular premium themes Magento 2 users choose to impress their online customers. SEO friendly, fast loading and fully customizable, this theme offers exactly what luxury home decor manufacturers want to keep their visitors engaged and maintain their loyalty. Although luxury brands are the latecomers of eCommerce, they are now enjoying the fastest growth rate in online retailing, focusing on developing highly customized eCommerce websites to offer a personalized shopping experience for their niche clients. Compared with the traditional brick-and-mortar store clients, online customers have now available many applications that can help them stay in contact with they favorite luxury brands, and benefit from a high-class customer service, and superior quality products. To successfully meet their shopper’s high-standard expectations, luxury brands are adopting the latest eCommerce trends that minimizes the discrepancy between in-store and online purchases, so luxury shoppers – baby boomers, millennials, and older shoppers – can enjoy the same exclusive and sophisticated goods and services, regardless of the channel they use for purchasing their favorite products.